The story of the shipping container—those standard metal boxes you see on cargo ships, trains, and trucks, carrying goods around the world and integrating the global economy. 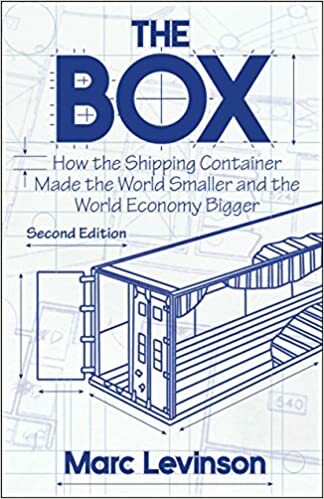 It describes what the shipping industry was like before the container, in particular, how inefficient and expensive shipping was; how the container got started in the 1950s; and how it eventually, over decades, completely reconfigured the global supply chain. Before the container, shipping costs were a large portion of the cost of good themselves. As a consequence, markets were largely local, and what was shipped was mostly raw materials or finished products. After the container revolution, shipping costs dropped by orders of magnitude, so dramatically that many intermediate products are shipped around the world, as different stages of manufacturing can happen in different countries on different continents without significantly adding to the total cost. Interesting and well-told overall but occasionally a little too dry or detailed. Recommended for anyone with a particular interest in the subject or an intense interest in industrial history.